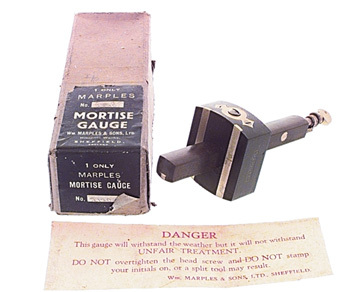 A rosewood & brass marking gauge, No. 2120, by William Marples & Company, Sheffield, England. screw lock type. new condition, original box.